Product prices and availability are accurate as of 2019-04-17 03:29:42 UTC and are subject to change. Any price and availability information displayed on http://www.amazon.co.uk/ at the time of purchase will apply to the purchase of this product. 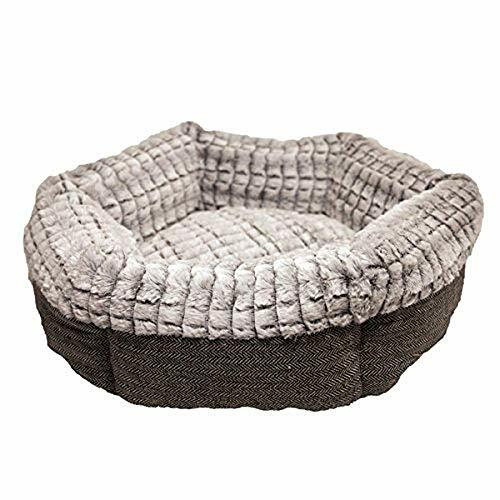 This tweed and plush bed is suitable for both cats and small dogs. Size: 48cm (19in). Please note that this product may come in assorted colours, you may receive a random colour.